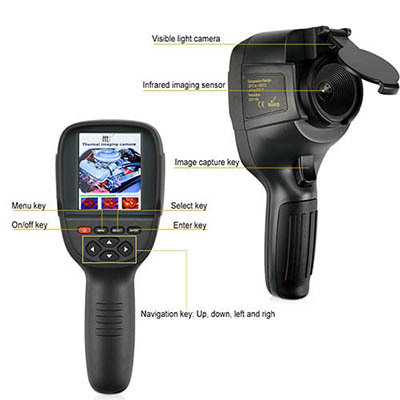 HT-19 IR Digital Thermal Imager with storage 320x240 Resolution 3.2. HT19 Infrared Temperature Heater can blend the visible and infrared image. This infrared imaging device is professional, precision and efficient. For car engine overhaul, transformer room line maintenance, air conditioner repair, etc. Our infrared thermal imager can turn thermal image into visional image, quickly find out the problem area.